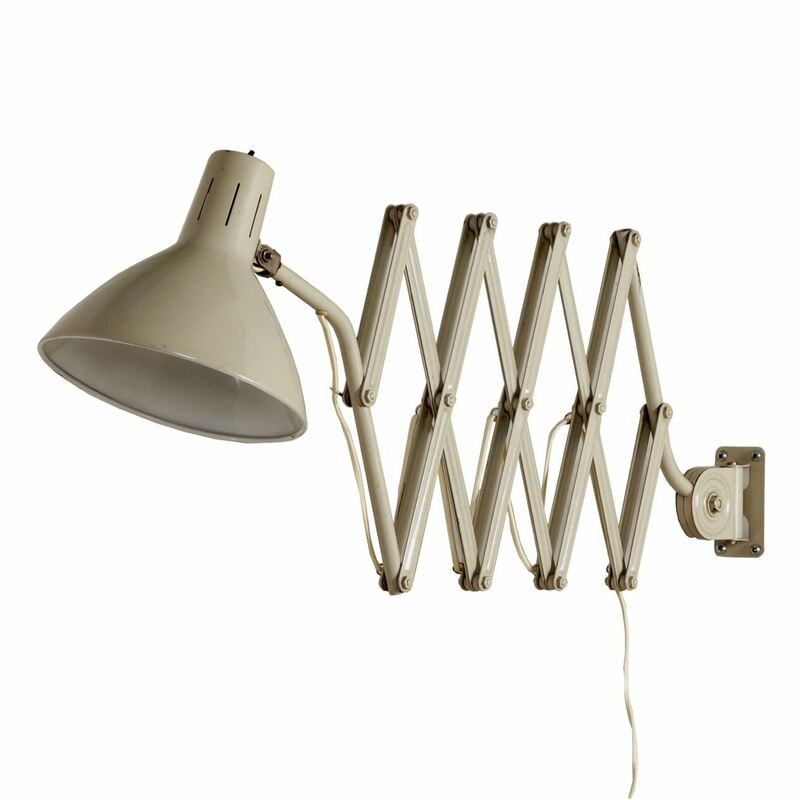 Industrial Hala scissor wall lamp model 110 made by Hala in the 60's. The original version of this wall lamp was designed by H.Th.J.A. Busquet as a Bauhaus lamp for Hala in the 1930s. In the years afterwards, the model has been changed (mainly the cap). This industrial wall lamp can be adjusted to all directions and can be extended from 40 to 140 cm. Also, the cap is adjustable. The diameter of the cap is 20 cm. Considering its age, this wall lamp is still in good and original condition, in the cap are two small dents (not really disturbing but we wanted to mention it). The switch is on top of the hood (see picture). Source: Hala catalogue 1965, page 13.